This week, the International Olympic Committee (IOC) revealed it will be hosting an Esports Forum later this year to determine whether it belongs in the Olympics alongside more traditional sports. The details: The IOC and the Global Association of International Sports Federations (GAISF) will be holding the forum on July 21 at the Olympic Museum in Lausanne, Switzerland. The forum will include panels on the life of elite players, gender equality, Twitch, and governance. We understand that sport never stands still and the phenomenal growth of esports and gaming is part of its continuing evolution. The Esports Forum provides an important and extremely valuable opportunity for us to gain a deeper understanding of esports, their impact and likely future development, so that we can jointly consider the ways in which we may collaborate to the mutual benefit of all of sport in the years ahead. This move didn’t come out of nowhere. 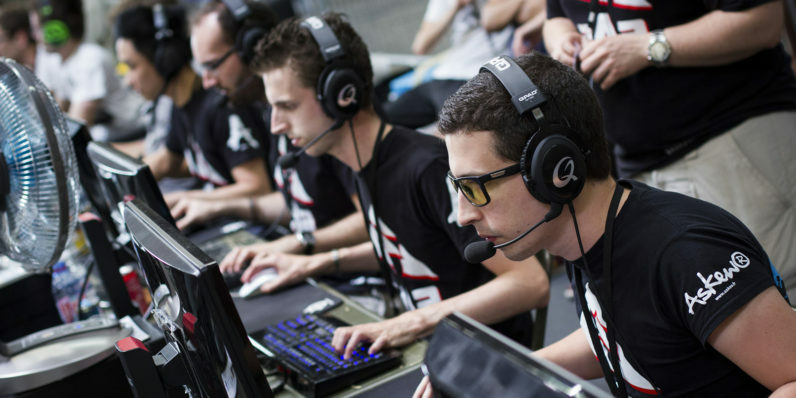 The ever-more popular and lucrative esports industry has been encroaching in the space of classical sports for years. Sometimes literally: earlier this year the League of Legends World Championships took place in the Beijing National Stadium, a.k.a. the “Bird’s Nest” which was originally built for the 2008 Summer Olympics. Why it Matters: There’s one reason why the IOC might be interested in courting an esports audience, other than pure competitive spirit. According to CNN, viewership of the last two Olympics, Winter and Summer, was extremely sluggish for American broadcaster NBC — and the numbers weren’t exactly encouraging before then, either. While that’s just US-based viewers, if it represents a worldwide trend, then the Olympics might be in trouble. It’s not as though it’s a cheap event to produce. But the IOC appears to be making an effort to correct that by appealing to a younger audience. It’s already started this by working with Snapchat, but that wasn’t enough. Recent studies have shown millennial viewers are just as partial to the digital league sports as they are football or basketball. A report from Newzoo predicts the audience for esports to skyrocket to about 380 million viewers this year, with revenues reaching up to $906 million. If the Olympics is looking to capture the hearts (and pockets) of millennials, then it makes sense they’d turn to the world of esports.